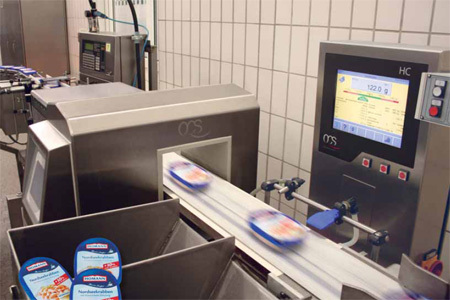 When every gram counts, HOMANN, a producer of gourmet salads, leaves nothing to chance and relies on dynamic weighing provided by OCS Checkweighers. These systems do not only check the weight of HOMANN's products, they are also responsible for the detection of foreign objects before the world-famous gourmet salads, dips and spreads reach the plates of the customers. Why these quality checks? Cost reduction and a 100% check of each individual HOMANN product! HOMANN, the well-known and leading producer of gourmet salads, is based in Dissen, Lower Saxony, Germany. Most people associate the name HOMANN with the delicious meat salad, which the famous German TV presenter Barbara Schöneberger promotes in a catchy spot with the exclamation "Hooomannnnomannn". However, the product range of the market leader is much broader and includes products such as delicious dips and spreads, superb dressings and savoury sandwich fillings.